BOSTON—David G. Bradley (MBA 1977), the chairman of Atlantic Media, will be the Harvard Business School Class Day keynote speaker on Wednesday, May 24, 2017 (the day before the Harvard University Commencement exercises). The ceremony, which will take place on the Baker Lawn on the School’s campus in Boston, will also include a welcome from the co-presidents of the MBA Class of 2017, presentations of the Alumni Achievement Awards and the Faculty Teaching Awards, and a student address. Bradley is a graduate of Swarthmore College and holds a JD from Georgetown University. 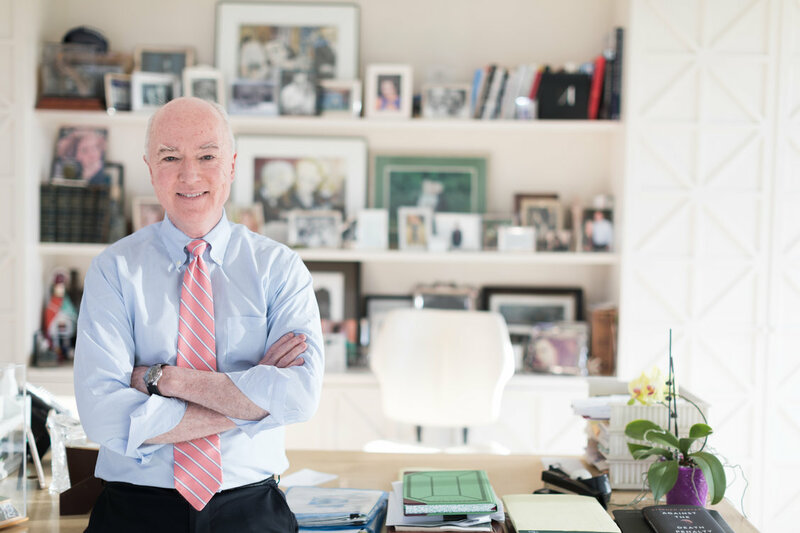 He originally purchased The Atlantic in 1999 and built it into a portfolio of media platforms. Prior to that, he founded, built, and sold two research firms: the Advisory Board Company and the Corporate Executive Board Company. He and his wife, Katherine, also cofounded CityBridge, a nonprofit that brings best practices to Washington, DC public schools.